Across vast stretches of Borneo lush rainforests have been felled for timber and land. In their place have sprouted endless stretches of oil palm plantations. In Sabah, a mere fifth of the state is now covered in forests. The area’s storied biodiversity has suffered greatly as a result with numerous endemic species being pushed ever closer to the edge of extinction. Yet even as some species have suffered, others have thrived. Rodents like rats are proliferating at plantations and logged forests where the newcomers pose grave threats to small mammals with which they end up sharing the same underbrush habitats. 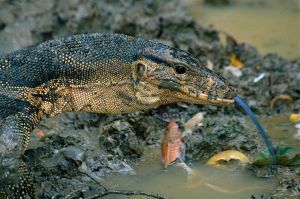 So, it turns out, are water monitor lizards. As a result, the researcher, who has published his findings in an academic journal, came to a conclusion. 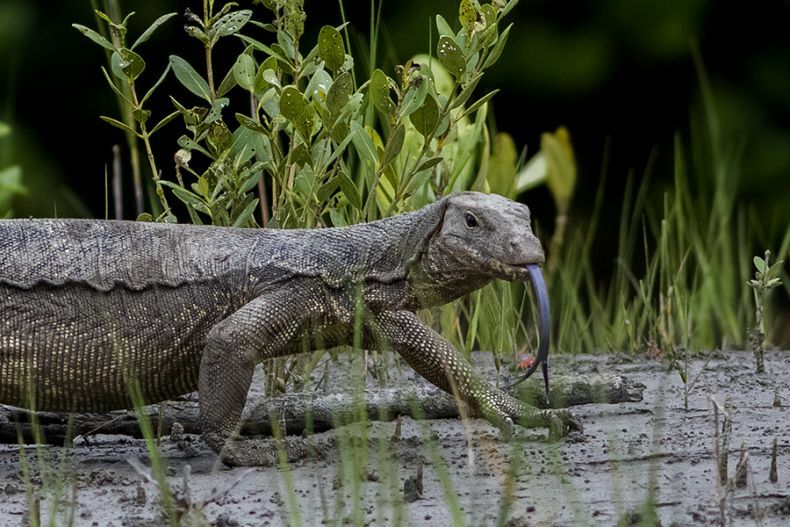 “There was a consistent trend: the more disturbed the land, the more water monitors we found, while their numbers decreased as we moved away from plantations into untouched forests,” he observes. 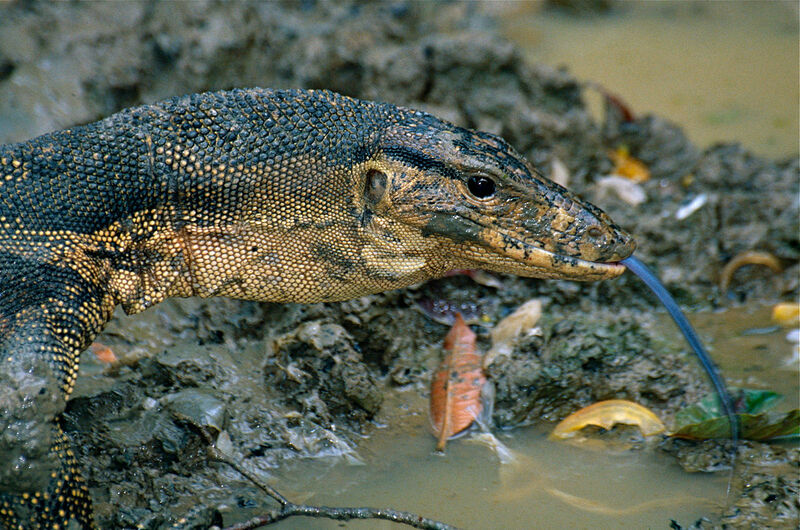 Malayan water monitor lizards (Varanus salvator) are highly adaptive creatures. They are ubiquitous from mangrove forests to city parks across Malaysia. They are opportunistic scavengers that feed on everything from dead fish to live birds and from frogs to street cats. They aren’t picky and will eat almost anything. Not so on the plantations, however. In the inhospitable monoculture of oil palm plantations the giant lizards have come to dominate. Yet not all is well in such degraded environments. “The increased parasite load that come from living at high densities reduces overall fitness of individuals, and in addition to energetic costs to adults, increased densities of a species that cannibalises juveniles of the same species, greatly deduces the chance of young making it to adulthood,” the researcher notes. In other words, oil palm plantations are bad news even for the rare species like water monitor lizards that have managed to adapt to them.